Michael Beasley with the lefty poster dunk on Perk, via LilPharmacist11. 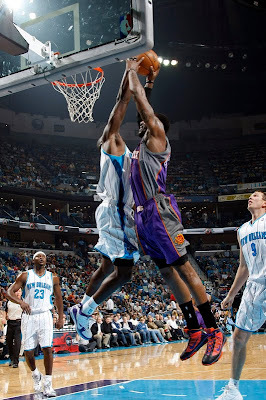 Josh Smith lowers the boom on Jason Maxiell, via NBA. 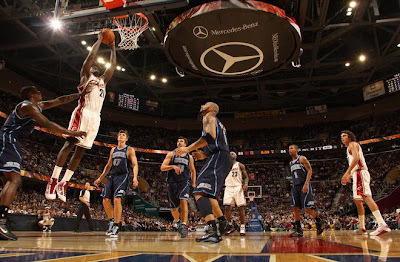 Gerald Wallace with the baseline smash on Lebron. Joakim Noah brings some Thanksgiving Day stuffing to Carlos Boozer, via NBA. 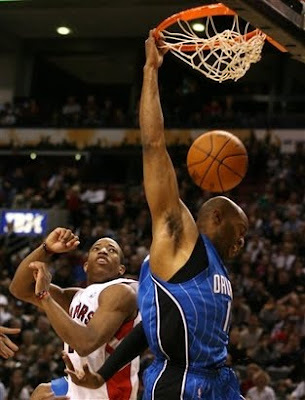 Perkins to Rondo to Pierce for the dunk over Iguodala, via NBA. 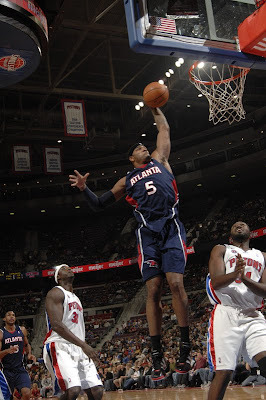 Pierce had a couple of nice dunks in this game, showing that he's still got some pretty good lift. 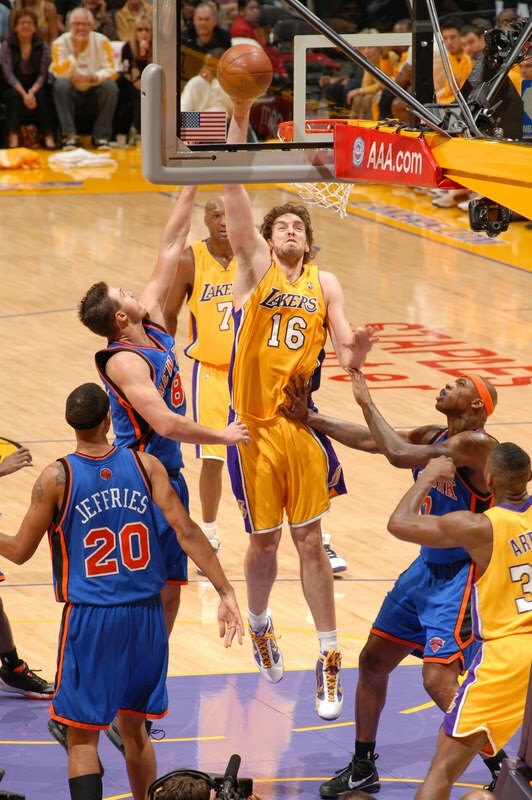 Pau Gasol with some Spanish on Italian crime, via NBA. 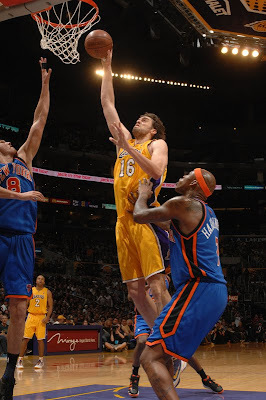 Farmar goes to the rack strong against Shefolosha, via GoldLakerLion. Vince goes right down the lane and elevates over DeMar DeRozan, via NBA.
. Can't believe there's no pic of this one. 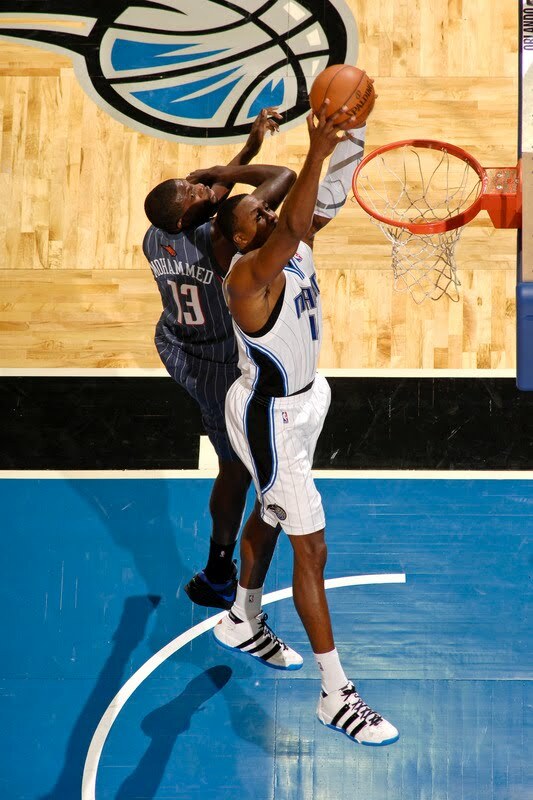 Okafor and Amare had fun dunking on and not dunking on each other in last night's game, via NBA. 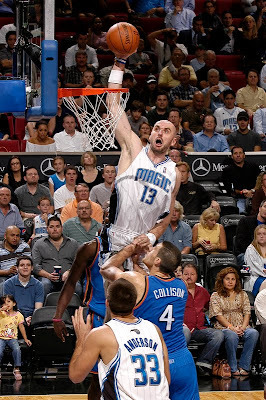 Marcin Gortat posterizes Nick Collison...some nice pics on this one. 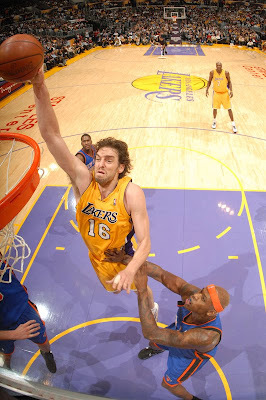 One of 13 dunks last night that I posted...comments on the rest later. 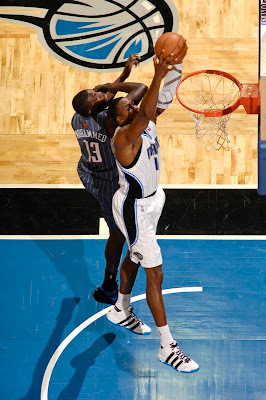 Dwight Howard with the flush over Nazr Mohammed, via NBA. 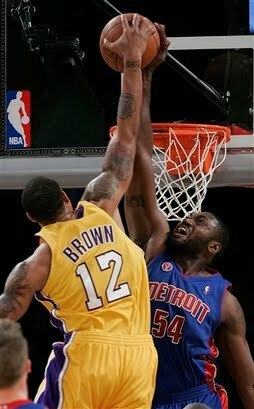 Forgot to post this and-1 dunk by J.J. Hickson over Ronnie Brewer from the other night, via NBA. 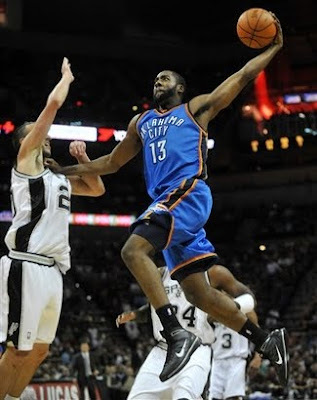 James Harden makes his You Got Dunked On debut with some lefty on lefty crime, via NBA.